Last week, I attended a preview of Taste of Perth, which is on at Langley Park from 15 to 17 May. Taste festivals are held all over the world and last year’s Perth event was the first time for our city, with over 16,000 people attending over the three days. Jac and I were in Margaret River and weren’t able to go to Taste last year, but we plan to check it out this time. Taste festivals feature pop-up stalls by restaurants of the host city, each serving up 3-4 signature dishes in ‘taste’ sized portions at lunch and dinner sessions. Festival goers pay for food and drink using festival currency called Crowns, which can be pre-purchased online with entry tickets or at the festival itself via Crown Banks or roaming Crown sellers. 1 Crown equals $1. In addition to the restaurants, your entry ticket gives you access to the Artisan Producer Market, cooking demonstrations, cooking lessons, wine and beer tastings, mezcal and tequila masterclasses, live music and pop-up bars. Keep reading for a special discount offer for General Entry tickets. Sunday lunch 12 to 4pm. No dinner session on Sunday. Get 2 General Entry tickets for $50 ($22 cheaper than buying at the door). To redeem the offer, book general entry tickets through Ticketek and enter FOODIE in the promotional code box. This offer is only valid for advance purchase general entry tickets. Standard Ticketek fees still apply. These tickets do not include Crowns, but you can also pre-purchase them in denominations of 30 or 50 Crowns via Ticketek, or buy them at the event on the day. The Taste of Perth preview event I attended last week showcased three of the participating restaurants – el PÚBLICO (Highgate), Lalla Rookh (Perth CBD) and No.4 Blake Street (North Perth). The dishes pictured below will all be featured at Taste of Perth 2015. In addition to the dishes below, I sampled fried crickets for the first time at el PÚBLICO. 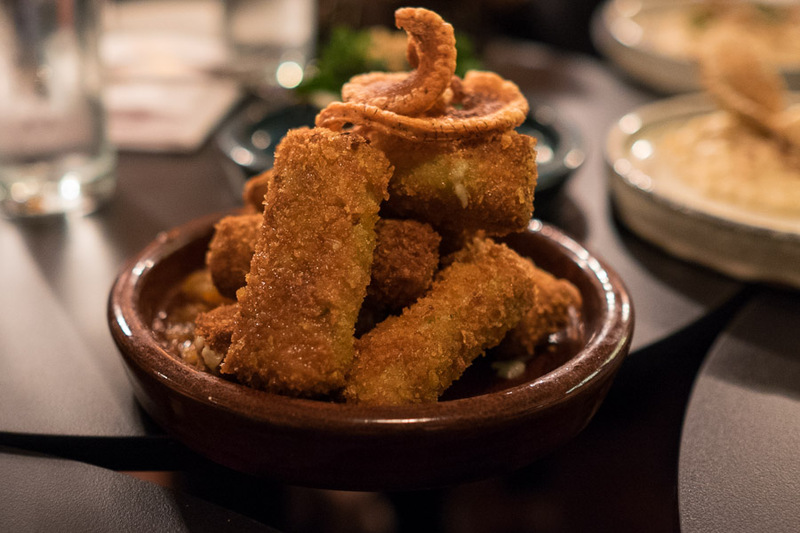 Their Icon Dish (not pictured) will be ‘Flavours of Mexico’, featuring fried crickets and chicharrón (pork crackling) with two village mezcals. So what do crickets taste like? Crunchy! I can’t see myself becoming a big bug eater in general, but I’d be happy to munch on fried crickets again. 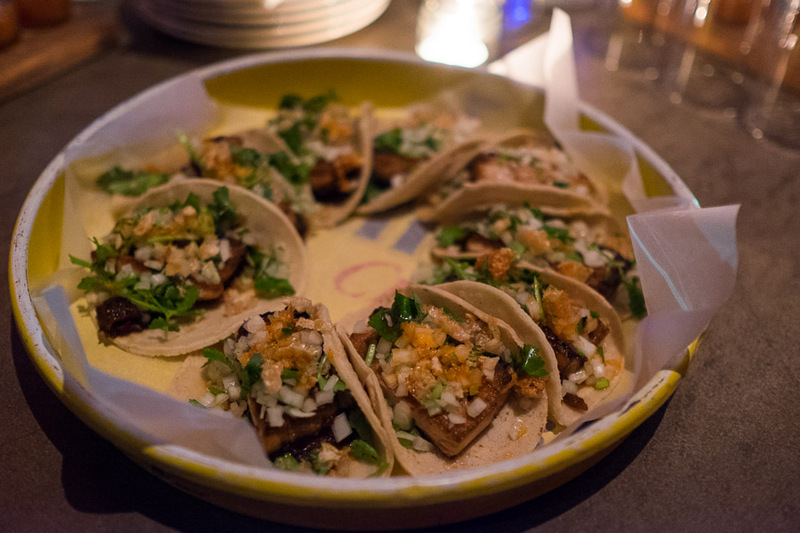 el PÚBLICO’s pork belly taco – pork belly, charred pineapple, salsa picante, chicharrón (pork crackling) in a soft tortilla. 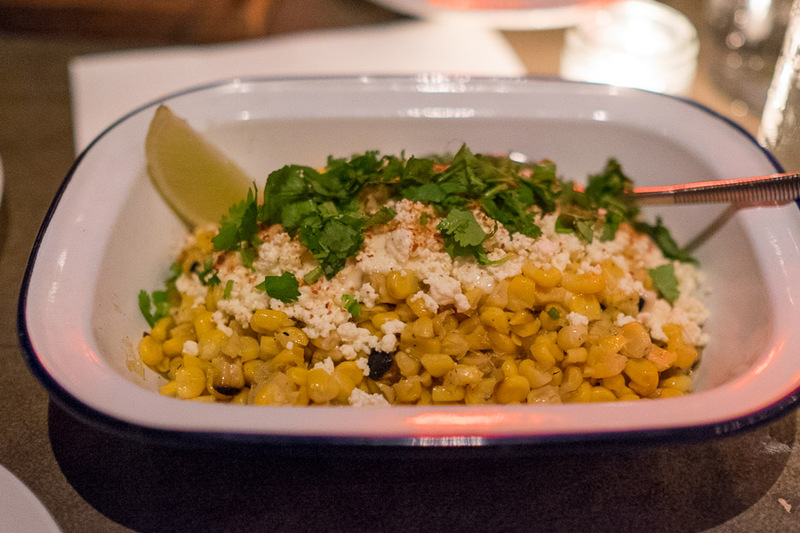 el PÚBLICO’s street corn – braised corn with crema, fresh cheese, chili and lime. I love sweet corn and this was extremely moreish. 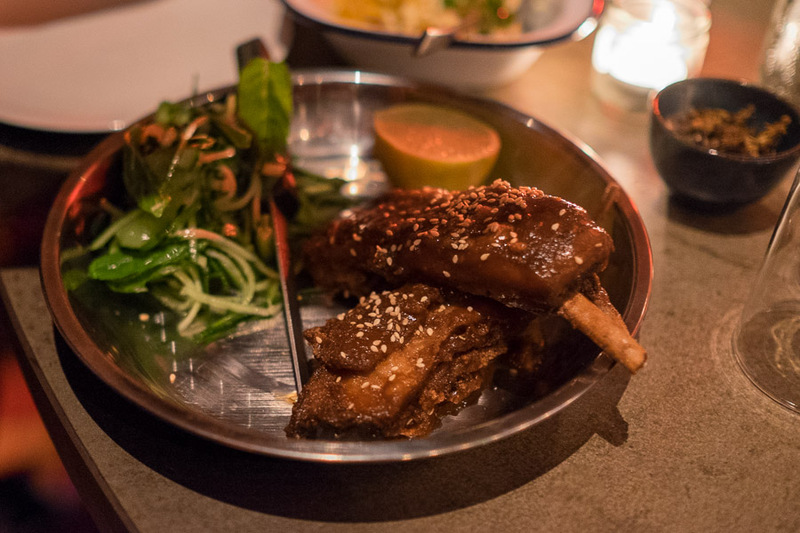 el PÚBLICO’s lamb ribs twice cooked with sesame cucumber salad and lime. Sensational! Saucy and juicy, meaty and fatty. I’m tempted to have these ribs and the Street Corn again at Taste of Perth. The best pasta I’ve eaten in Perth was at Lalla Rookh, but chef Joel Valvasori and his team are meat maestros too. 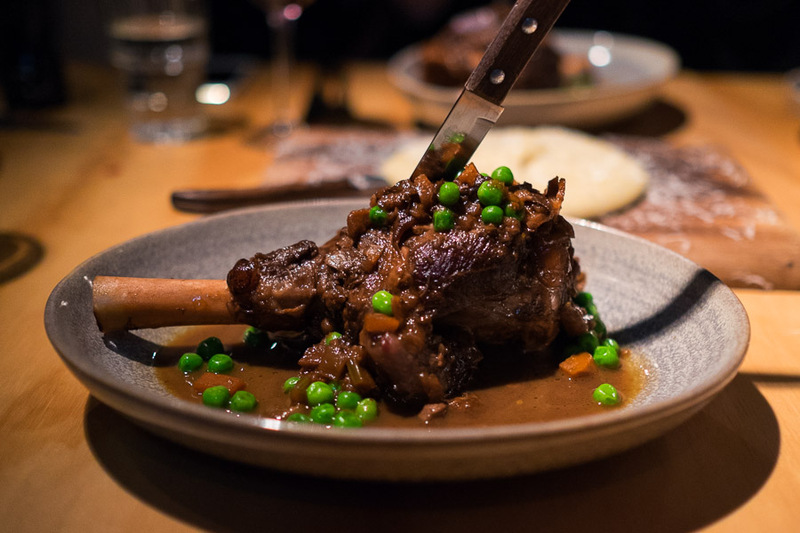 We sampled their Icon Dish, braised lamb shank medieval style, with sweet spices and prunes, a hunk of meat that would excite both King Henry VIII and Fred Flintstone. Lalla Rookh will also bring a Wine and Salumi Store (think Italian cured meats and cheese with matching wines) to Taste of Perth 2015. 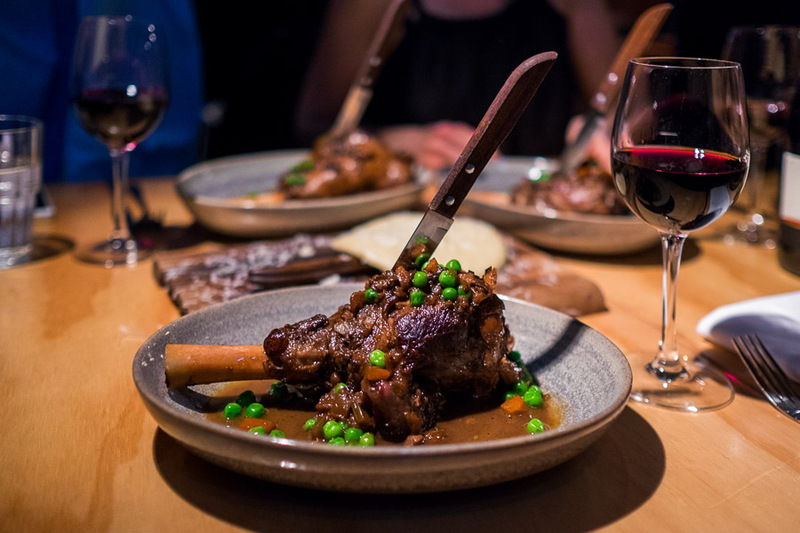 Lalla Rookh’s icon dish – braised lamb shank medieval style, with sweet spices and prunes. The meat came easily off the bone; I didn’t even need the knife. The lamb shank was served with organic polenta and parmigiana, Nonna’s style. 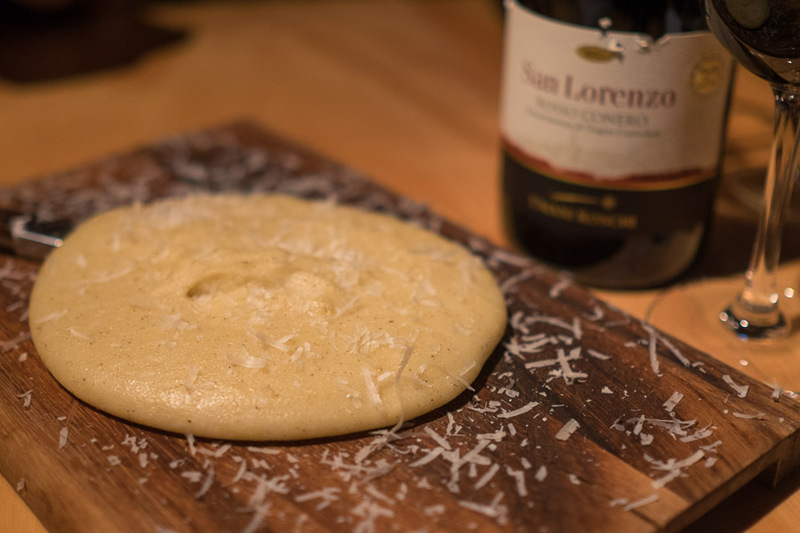 Not your typical creamy polenta, it was more like a steamed polenta cake. I first tasted No.4 Blake Street’s Valrhona Chocolate Garden at their launch event in early 2013. 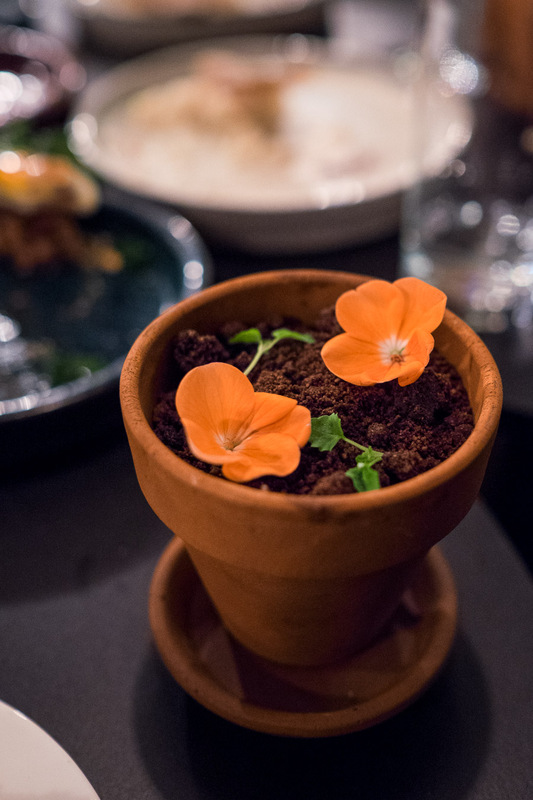 I refer to it as ‘the pot plant’ because that’s what it resembles – decadent layers of chocolate, salted caramel and peanut dacquoise topped with edible soil, micro herbs and flowers, all served in a chilled terracotta pot. It was a huge hit at last year’s Taste of Perth and will be back again as No.4 Blake Street’s Icon Dish. 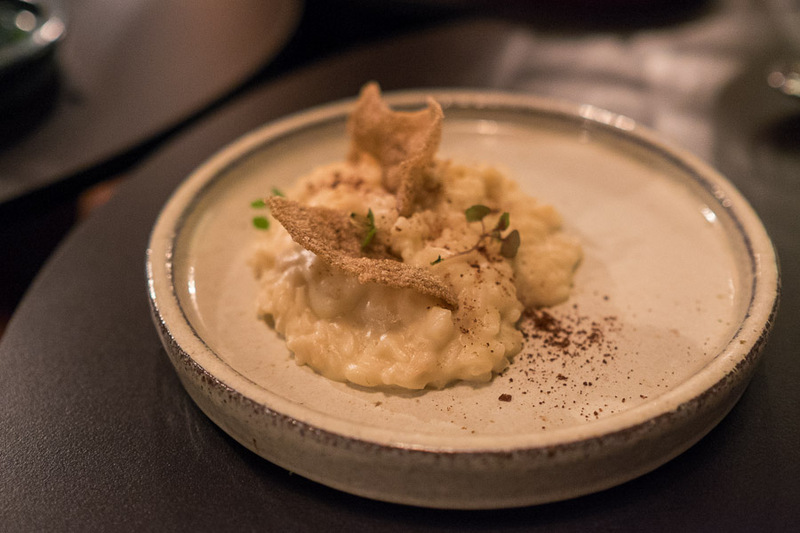 No.4 Blake Street – No.4 risotto, with cauliflower, cocoa and burnt rice crisp. It was looked plain Jane but was delicious. No.4 Blake Street – croquettes with taleggio and broccolini with smoked lardo and hazelnut marmalade. Remember: a fresh croquette with molten hot filling will burn your tongue (so says the person with a burnt tongue)! Loved these. 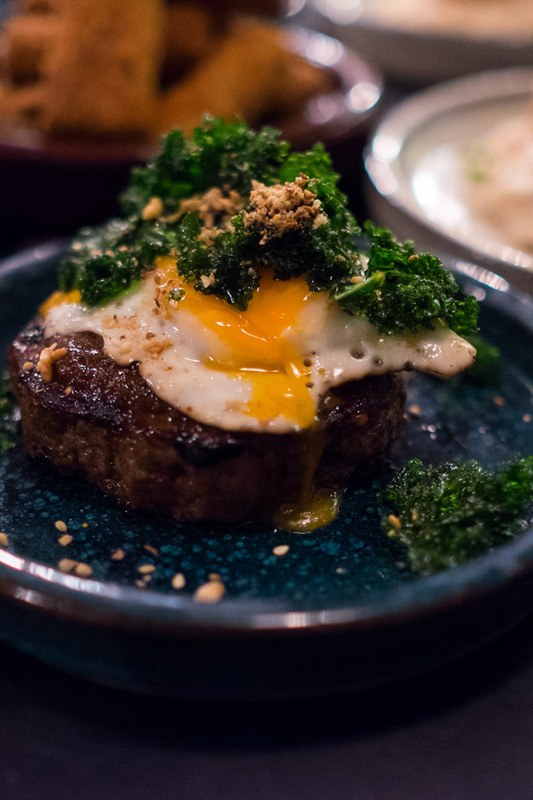 No.4 Blake Street – 45-day dry aged organic, grass-fed beef with fried egg, crispy kale, dukkha. The beef was tender enough to cut with a fork. No.4 Blake Street’s Icon Dish – Valrhona Chocolate Garden with salted caramel, peanut dacquoise, sandalwood rocks. Once eaten, never forgotten! Make sure you dig your spoon all the way to the bottom to get a taste of all the layers. 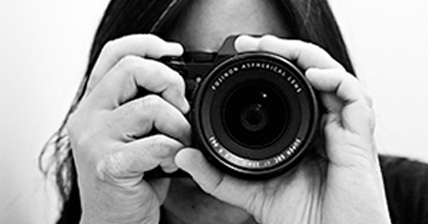 I’m looking forward to my first Taste of Perth – maybe I’ll see some of you guys there! TFP attended the preview of Taste of Perth 2015 and sampled dishes as an invited guest.